Two popular plans you can use to save for retirement are IRAs and 401(k)s. Your employer might offer a 401(k) at work or if your self-employed, you can open your own 401(k). 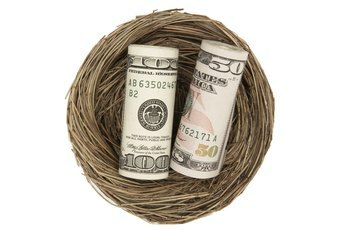 IRAs are available to everyone. Both plans can provide tax deductions and tax-deferred investment growth. You can own both and contribute to both up to the annual limits. 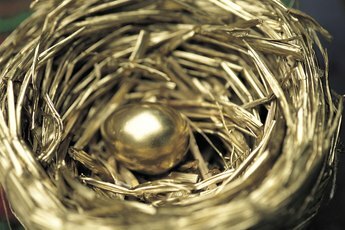 However, if you or your spouse have a 401(k), your IRA contributions might not be fully deductible. Having a 401(k), whether you use it or not, does not affect the annual limit on total contributions to your traditional or Roth IRAs. To contribute to a traditional IRA, you must be younger than 70 ½ and have earned income. Roth IRA contributions have no age restrictions. You can contribute the lesser of your earned income and the annual limit, spread over one or more IRAs you own. 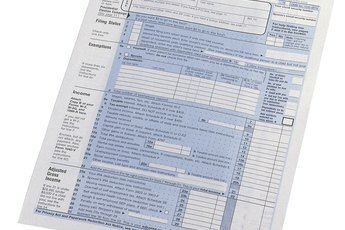 Traditional IRA contributions are normally tax-deductible, whereas contributions to a Roth IRA are not. Your contributions to a Roth IRA might be limited by your modified adjusted gross income (MAGI). There are no MAGI limits on traditional IRA contributions, but your traditional IRA deduction might be curtailed if you or your spouse is covered by a 401(k) plan, and your earned income exceeds annual limits based on your filing status. If you are married and file jointly, one spouse’s income, adjusted for that spouse’s IRA contributions, can be used to fund the other spouse’s IRA contributions, even if the other spouse has no income. In 2018, the max IRA contribution is $5,500, or $6,500 if you’ve reached age 50. As a single filer, the amount you can contribute to a Roth IRA is reduced when your MAGI reaches $120,000 and is eliminated at $135,000. As a married joint filer, the amount you can contribute to a Roth IRA is reduced when your MAGI reaches $189,000 and is eliminated at $199,000. You must also observe traditional IRA income limits. If you are covered by a retirement plan at work and are a single filer, the deductibility of your contributions to a traditional IRA is reduced starting at a MAGI of $63,001 and is eliminated at $73,000. If you file jointly, the limits are $101,001 and $121,000 respectively. If only your spouse is covered by a retirement plan at work and you are a joint filer, the deductibility of your contributions to a traditional IRA is reduced starting at a MAGI of $189,001 and is eliminated at $199,000. In 2019, the annual limit on your total contribution to IRAs is $6,000, or $7,000 if you’ve reached age 50. As a single filer, the amount you can contribute to a Roth IRA is reduced when your MAGI reaches $122,001 and is eliminated at $137,000. As a married joint filer, the amount you can contribute to a Roth IRA is reduced when your MAGI reaches $193,001 and is eliminated at $203,000. If you are covered by a retirement plan at work and are a single filer, the deductibility of your contributions to a traditional IRA is reduced starting at a MAGI of $64,001 and is eliminated at $74,000. If you file jointly, the limits are $103,001 and $123,000 respectively. If only your spouse is covered by a retirement plan at work and you are a joint filer, the deductibility of your contributions to a traditional IRA is reduced starting at a MAGI of $193,001 and is eliminated at $203,000.